Installing new wallpaper is typically one of the less enjoyable home improvement tasks one can engage in. No matter how great it looks when it’s done, the actual installation is a big pain. 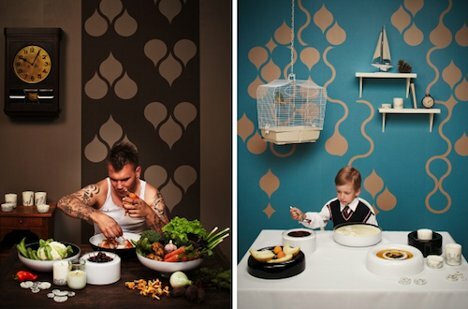 Not so with the Tears Off wallpaper from design studio ZNAK. The paper contains pre-cut patterns that only reveal themselves once you start getting a little destructive. 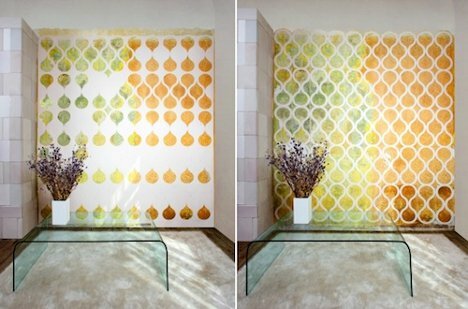 After hanging the wallpaper, you create custom patterns by peeling off pre-cut segments. You may peel in an orderly pattern for a more refined look, or simply go crazy and peel randomly for a spontaneous work of decorating art. Different and delightful patterns can be created by simply altering the colors of the wall or the wallpaper itself – or both. There are no rules where this innovative design tool is concerned. Interlocking modular sheets ensure that installation is a snap, but the real fun starts after the sheets are all stuck to the wall. Then you begin peeling off segments to create interesting geometric patterns with the negative and positive spaces. A sheet of pattern ideas is included with the wallpaper to help jog the imagination. 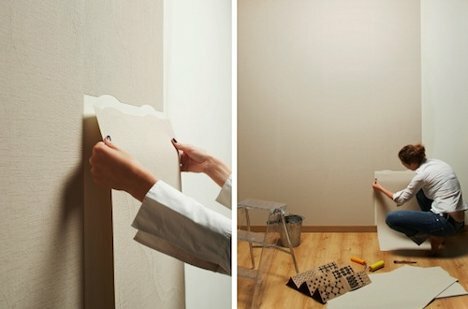 A designer touch can be achieved simply by applying the paper to a small section of a room rather than the entire room. 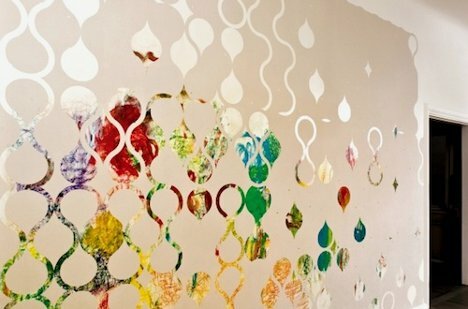 Accent walls can handle bold patterns and bright colors, both of which can be easily achieved with the Tears Off wallpaper, a little painting, and a little peeling. 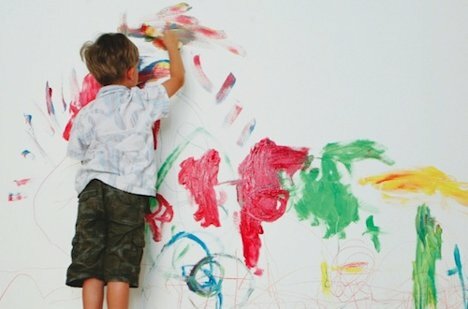 Parents of little ones can even incorporate their kids’ unique art into the wallpaper design. 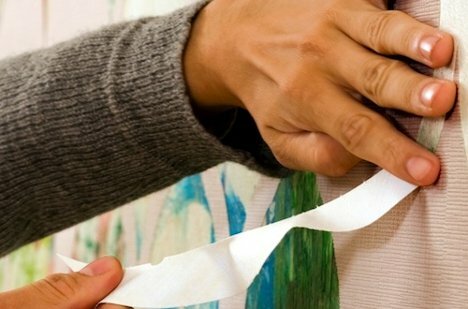 After hanging the paper, simply let the kids paint to their hearts’ content and then peel segments away to reveal one-of-a-kind personalized wallpaper.